All deckovers are a full 102” wide with decks over the wheels, featuring pierced beams for the lowest possible deck height. 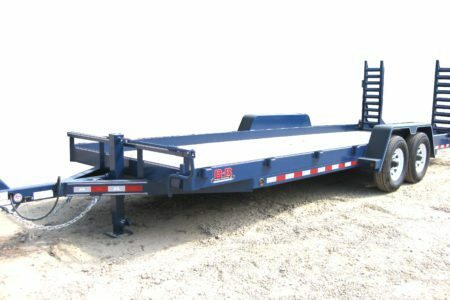 We offer multiple different loading options, including ramp models, tilts, hydraulic beavertails, and air tilts. Deckovers are also available in pull-type, gooseneck, and semi-style configurations with air or electric brakes. The 50K air tilt comes equipped with (3) 22,5 lb. Only manufacturer who offers drop deck tilt with (2) 10K axles! 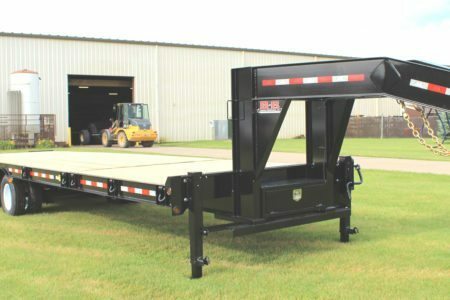 Skidloader trailers come with stand-up ramps, which are folded down to haul equipment such as skid steers, mini excavators, etc. 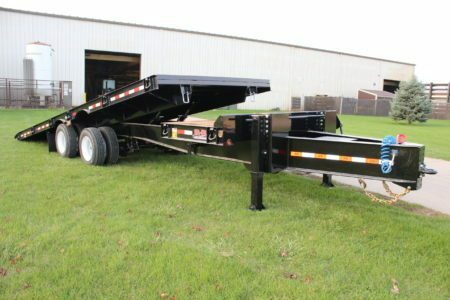 These trailers are built heavy and are equipped with a full 83” between the fenders. Capacities range from 10-20K. Dump trailers are built to haul and dump the heaviest loads. Tandem axle dumps are 83” wide and available in 12-16’ lengths, with 2-3’ sides. They utilize heavy duty frame construction with beefy scissors hoists to meet any contractor’s needs. Single axle dumps, with a single hydraulic cylinder, 5-6’ wide and 8-10’ long are also available for smaller landscaping jobs. Drop downs use a hydraulic cylinder and pump to drop the bed down to the ground. With only a 5° load angle they are perfect for loading scissor lifts, forklifts, dolly carts, or any small wheeled equipment. These trailers utilize a tubeless axle system and polyurethane rubber suspension for a smooth ride. Available in a variety and widths and lengths, which are perfect for the rental industry and contractor’s alike. 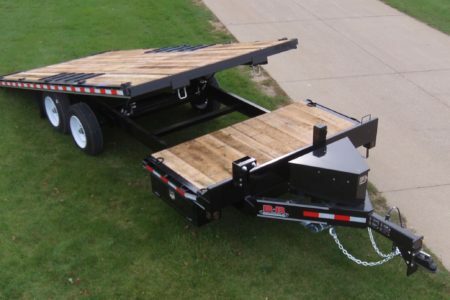 Single axle drop downs are available in 54" or 76"
Utility trailers are available in 2,900-7,000 GVWs. They are available in 60-81” widths and 8-16’ lengths. Utilities are available with no ramps, or split mesh gates. 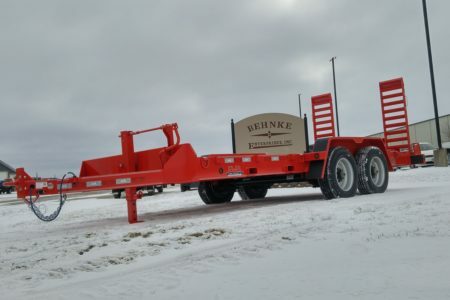 These trailers can be used for hauling smaller equipment. 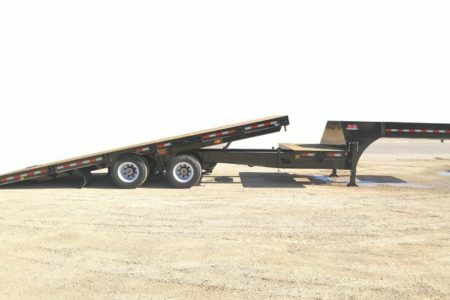 Tilt utility trailers are also available in 5,000-7,000 GVWs and work great for hauling scissor lifts, or other small wheeled equipment. 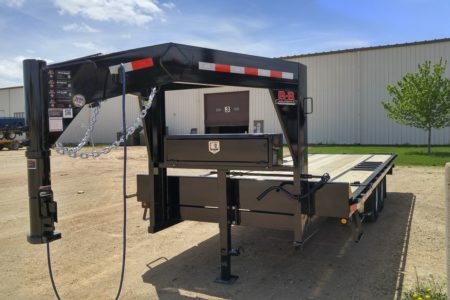 Single axle utility trailers are available in 60"
Tandem axle utility trailers are available in 60"
Car haulers are tandem axle trailers, available in 7,000-10,000 GVWs. They are 81” wide, with 13-19’ beds, and 3’ beavertails with slide-in ramps. The fenders are removable, making these trailers ideal for loading cars, or trucks.